Some good news for the new year: The Tinker Kickstarter was funded! We’ll be shooting our pilot episode in February. Lots of people got the word out at the last minute, so thank you for your support! Now that we’ve got a green light for the project things have been ramping up. I’ve done two interviews for Tinker recently. The first is with Brianna Sheldon over at her blog Bravo-Charlie-Sierra. The second is a video interview with Lesley Scott for the Weird Review. 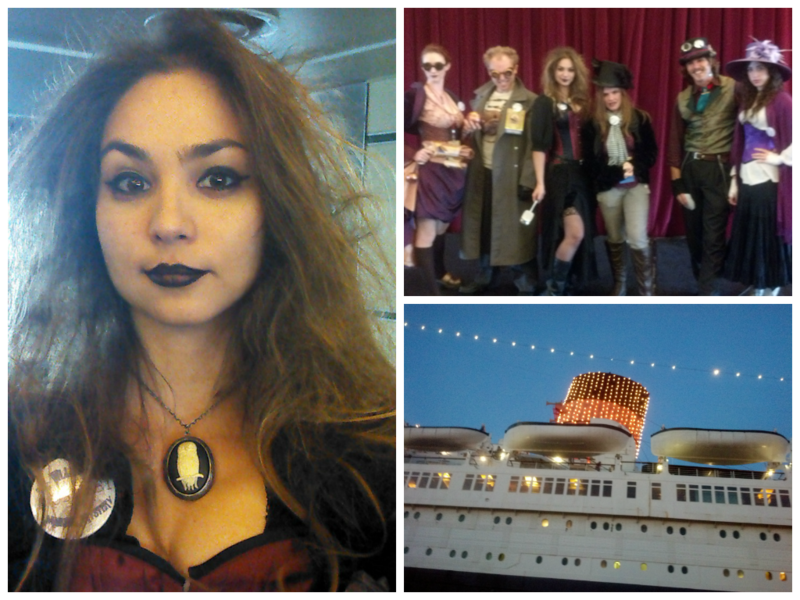 If you’re wondering why I look so crazy for the Weird interview, it’s because I had just come from character acting for the Steampunk Murder Mystery at this year’s Steampunk Symposium on the Queen Mary! I got to scare people by chasing them around with a meat tenderizer and pretending to be an evil genius phrenologist. It was quite fun. To switch gears from acting, even more good news in the academic sphere: The Wyrd Con Companion Book is out! My academic article, “Shadow Work: A Jungian Perspective on the Underside of Live Action Role-Play in the United States,” starts on page 94. I won’t lie, it’s some pretty dense theory, but there is a pretty illustration to go with it! I’ve also gotten news from the International Association of Comparative Mythology about the article of mine that’s being published from the conference in Germany that I presented at last year. It’s been in limbo for a while, but it looks like the articles have been picked up by the publishing house LIT, and will become a book. Hurrah! I’d also like to announce that I will be sitting on on three panels at Intercon N coming up in February. 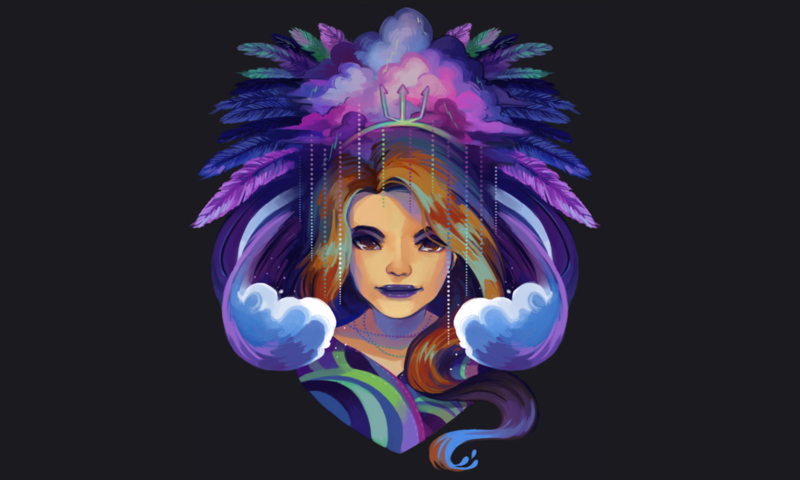 The panels will be Gaming as Other, The Psychology of Character, and The Wyrd Con Companion Book Panel. I am particularly excited about Gaming as Other because we will be exploring deeply important topics of inclusion within the gaming community at large. As a woman, and as a Mexican-American brown woman to boot, I often run up against marginalization in a subculture that is predominated by white males. I am eager to help geekdom move forward into a brave new world of awesomeness for everybody. Winter quarter of my PhD program starts in a couple of days. I finally have a seminar class on the Americas, so I get to pull out all my fancy field work knowledge on modern post-Mayan indigenous groups. I’m strongly considering writing a paper for publication on this topic. Not that I’m tiring of exploring the link between mythological structures and play, but it would be nice to get back to my roots for a bit. I am still on the ADAM8 project of course, and the new super secret project that Crackhorse Productions is developing and I can’t talk about yet. Still also on the super secret indie gaming project as well. I’ll also be kicking into high gear for my job as editor for the Pacifica Graduate Institute literary journal, Between, as we close submissions and begin the publication process for this year. There are some other things lining up in the pipe for spring and summer, but I think it’s still too early to talk about them. 2014 is going to be a great year! Previous PostPrevious End of Year Roundup, Some Annoucements!